“When Alexandra Kuykendall became a mother it was the beginning of a soul-searching journey that took her into her past and made her question everything she’d experienced–and a lot of what she hadn’t. The only daughter of a single, world-traveling mother and an absent artist father, Alexandra shares her unique quest to answer universal questions: Am I lovable? Am I loved? Am I loving? I was surprised at what a page turner this book turned out to be for me. Kuykendall writes with such honesty and infuses a desire to change and help others change in her writing. I related to her as a person, even though her family situation is nothing like mine. The importance of accepting yourself, embracing your identity, and relying on God in parenting is a key component to the memoir. Kuykendall also writes about how important her support system (a MOPS group) is to her parenting journey. I don’t want to say too much because I hope you’ll read this one for yourself! If you liked Jeanette Walls’s memoirs The Glass Castle and Half Broke Horses, you’ll like this one, too. 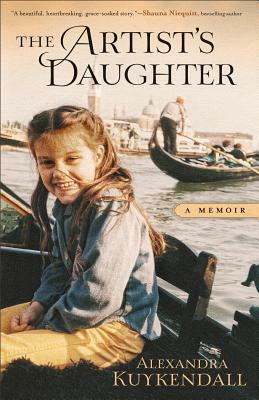 It doesn’t contain the stunning situations or details Walls’s memoirs include, but it is a well-written memoir about a daughter coming to terms with a parent as she becomes a parent herself.